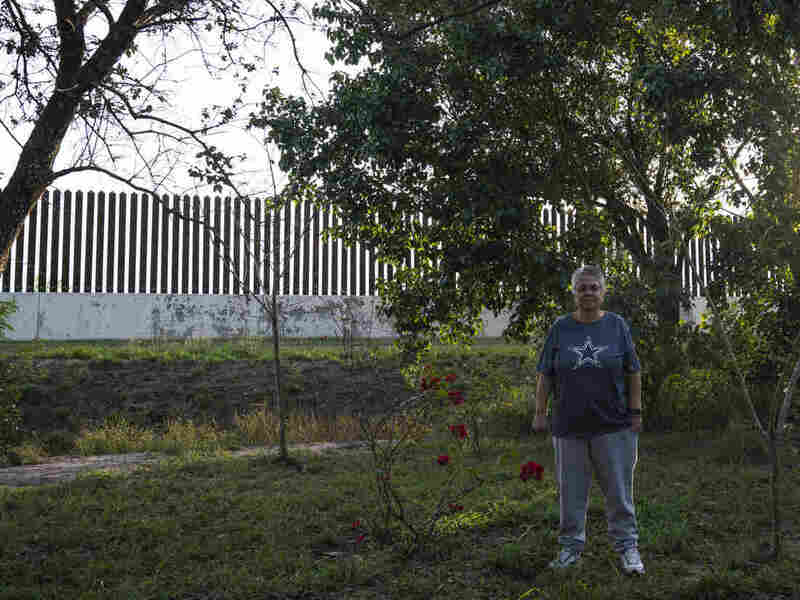 In The Rio Grande Valley, Residents Prepare For Construction Of A New Border Wall With President Trump's emergency declaration, residents of the Rio Grande Valley know that a new border wall is coming to their region. Some welcome the construction, while others say it's not needed. Gracie Garcia poses for a photo in her backyard in Los Indios, near San Benito, Texas. The border wall was built about 10 years ago on Garcia's property, and she says she has not been paid for it. 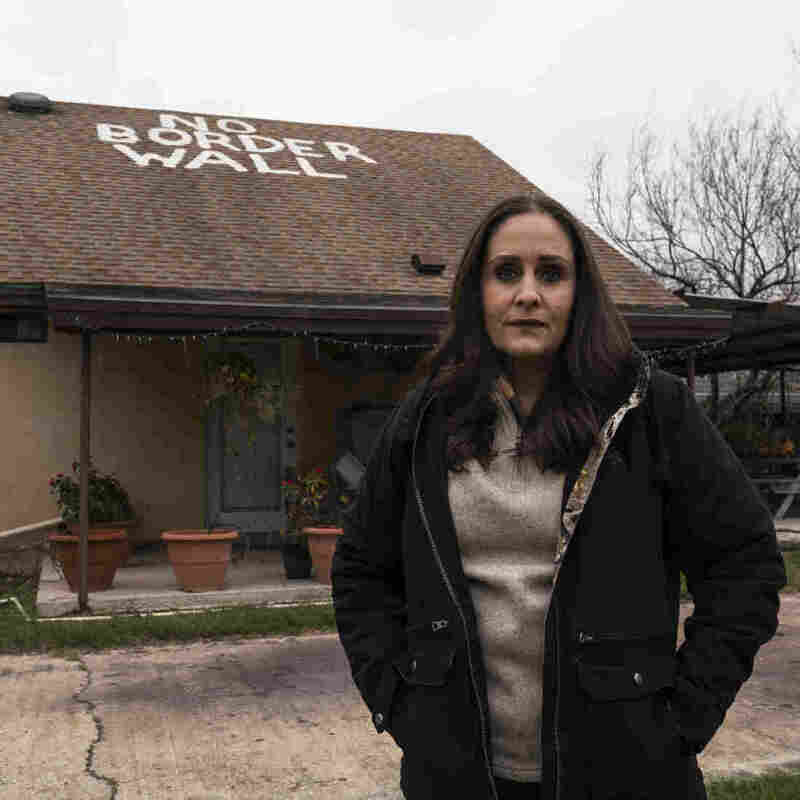 Nayda Alvarez poses for a photo in her backyard, which is part of the property that her family has owned for five generations along the Rio Grande in the community of La Rosita, near Rio Grande City, Texas. Alvarez says that if the border wall were built as it is shown in preliminary maps, her house would have to be demolished to leave the 150-foot enforcement zone. Alvarez has not yet responded to any of the letters because she's busy seeking legal advice. This is about what is right or wrong, and a wall is not going to help anything. It's not gonna work. Alvarez questions the need for an emergency declaration to build a wall in her backyard — she says she has felt safe in her community her entire life. She says she has tried to talk to local, state, and federal government officials, including the U.S. Army Corps of Engineers, about the impending border project. Let's try this wall, because for 75 years, nothing has worked. Maybe this will. Escobar, 75, is a farmer who owns a total of about 600 acres of land. He doesn't mind the government cutting through his property, because he believes it will reduce the flow of drugs coming into the United States. The topic is extremely personal to him. Still, Escobar is inviting the government to build a wall on his property: "I say, let's try to stop it. Let's try something new. Let's try this wall, because for 75 years, nothing has worked. Maybe this will." Nayda Alvarez said she doesn't have the luxury of a 600-acre farm. According to the border security bill passed by Congress and signed by the president, the Department of Homeland Security and the local elected officials of the cities affected by the upcoming border wall will need to reach an agreement regarding the design and alignment of physical barriers by Sept. 30.